These are all the Blogs posted in December, 2013. 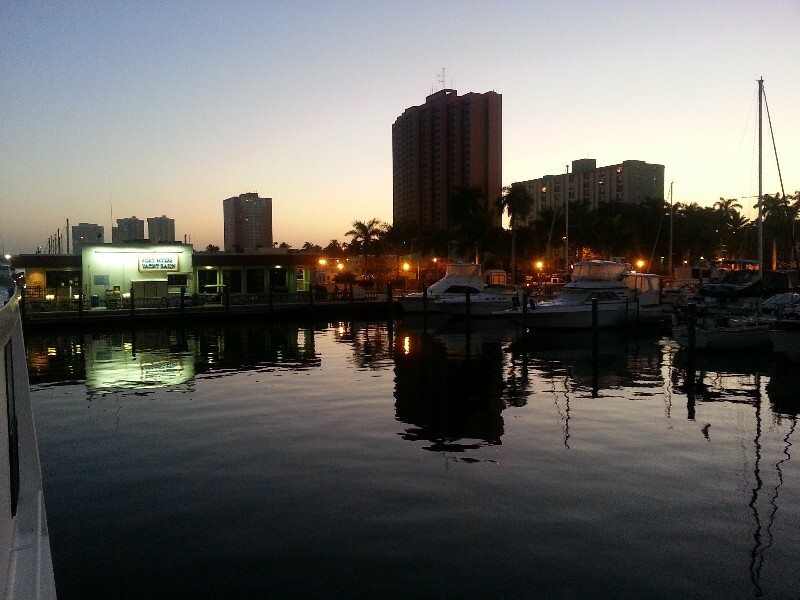 We departed from Stamford, CT on November 21, 2013 and arrived to Punta Gorda, FL on December 23, 2013. 2 days in Atlantic City, NJ waiting for weather. 1 day in Chesapeake City, MD waiting for weather. 1 day in Deltaville, VA waiting for weather. Yesterday we had a great afternoon with the kids and grandkids... after the church play we all went out to lunch... Ruby our youngest granddaughter was not there... she was feeling bad and had stayed with her other grand parents instead of coming to church so di not get to see her yet... but will see her on Christmas Day.... anyway, had a great lunch at a barbeque place in North Fort Myers... not sure what the name of it was but the food was good. After Lunch my son Mark took me to pick up our car from storage out off of Highway 31... they had charged the battery and washed the car and had it out waiting for me to pick it up... very nice people... ever need to store your car I highly recommend them... Highway 31 Storage. Mark then followed me to Punta Gorda to drop off the car. We returned to Fort Myers and Mark, his wife Maryland and our grandchildren Elizabeth and Lucas spent a few hours catching up on things... was a very nice afternoon. Later that evening Susan and I went out on the town... downtown Fort Myers to celebrate our anniversary... we had a great dinner at "The Firestone"... a very rustic place 3 stories high with roof top dinning if you want... we opted to dine inside. The day was nice but it was really a little too much "reality" all at once... we were not really ready for the trip to be over and everything was coming to and end way too fast... LOL Good nights sleep and up at 0600 to be ready to depart at 0700 on the final leg of our 2013 trip south. 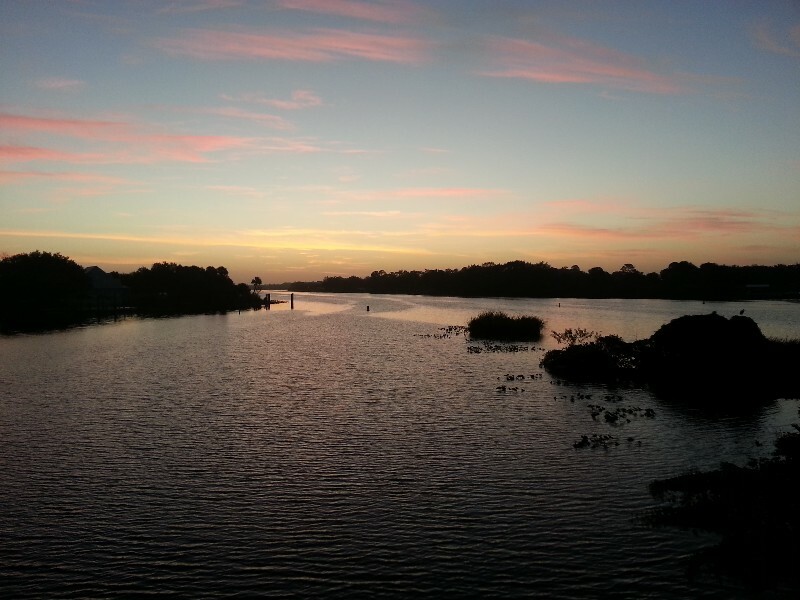 We departed at 0700 sharp and headed out onto the Caloosahatchee River bound for Punta Gorda. The tide was going out so we had a nice boost of speed all the way Pine Island... miserable mile area. For a Monday there was a lot of boat traffic... I think the most we have seen since we started on the trip... all local boats... a lot of rental boats... all sizes. We did pickup the boost again as we turned out of the GICW into Charlotte Harbor at Boca Grande Pass and we kept this push all the way to Fishermen's Village Marina... our winter home and final stop. As we docked in our slip we saw many familiar faces... a very nice thing to see. The trip south was over and a new adventure starts. We were securely docked at 1430. We traveled today for 7.5 hours covering 53.6 nautical miles averaging 7.1 knots. Today we get back to "reality"... stopping in Fort Myers to attend a Christmas Play at the church my sons Mark and Josh attend. Will get to see the grandkids and probably be going out to lunch with everyone after church. Then this afternoon Mark is taking me to pick our car up from storage and take it to Punta Gorda... Trip almost over... one more day! 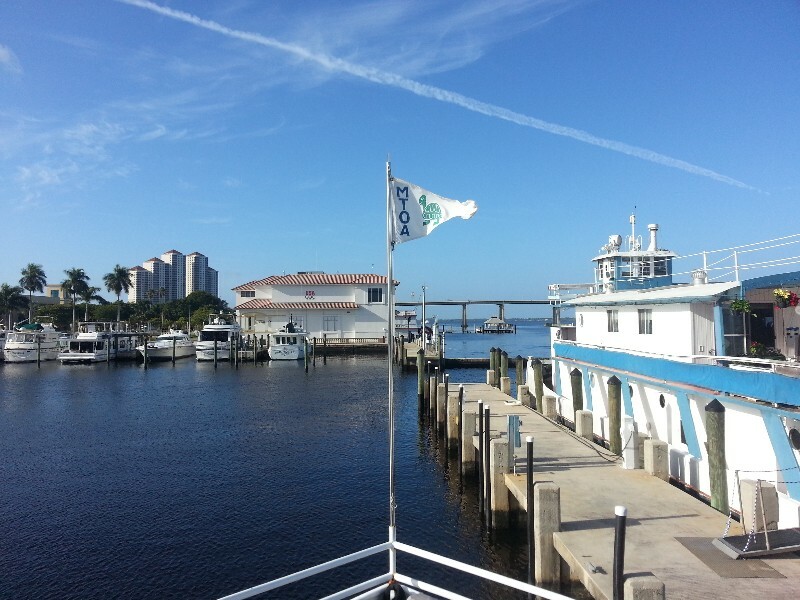 We arrived to Fort Myers at 0900 and docked at the City of Fort Myers Yacht basin at N26°38.844', W081°52.216' We traveled today for 2 hours covering 11.7 nautical miles averaging 5.9 knots.